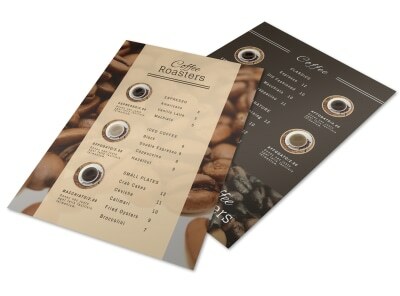 Customize our Black Coffee Shop Menu Template and more! 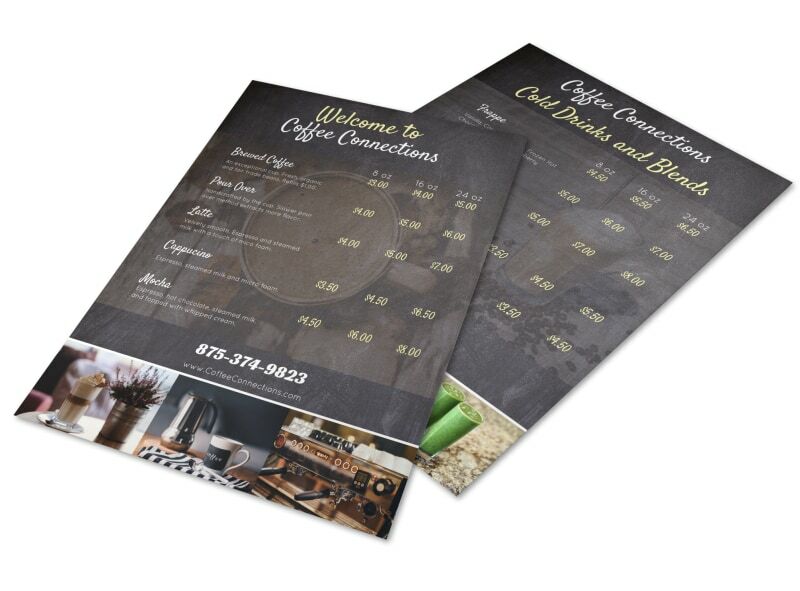 Serve up daily inspiration while showing customers what’s brewing with this custom menu for your coffee shop. Easily upload your own photos and insert important details such as mouth-watering descriptions and prices; change the colors, font, and other elements to customize your menu further. 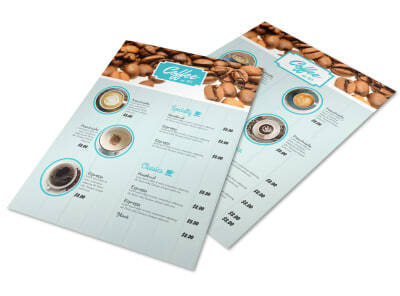 Begin designing your menu today!